The North Carolina Craft Beverage Museum is dedicated to preserving and interpreting our state’s craft beverage story, and celebrates its role in building and defining our local, state, and national community. Prohibition of the production, importation, and transportation of alcohol in North Carolina occurred statewide during the early 1900s. 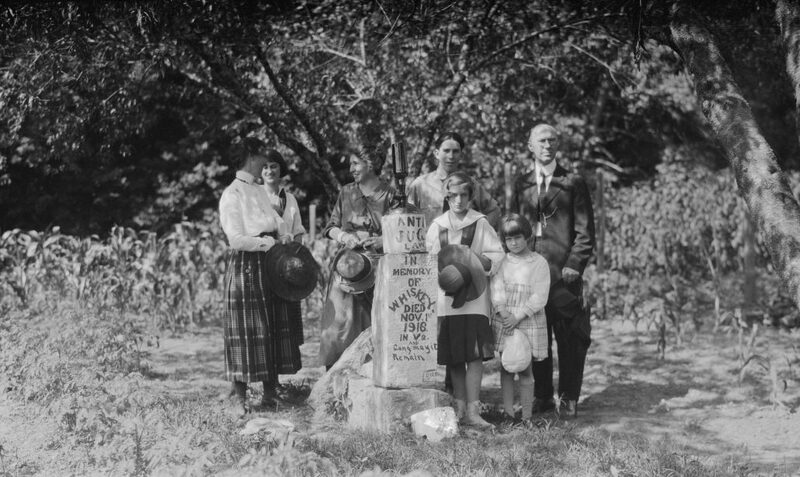 This photo depicts a family by a monument erected in the Dismal Swamp when Prohibition was in effect. With the passage of the 18th Amendment in 1920, the United States became a dry country. The date of this photo is unknown. Courtesy of the State Archives of North Carolina. What Makes A Drink Craft? Does it have to be locally-sourced? Must it be made in small batches? Whether it is an artisanal cocktail or an expertly made wine, we believe craft is a mindset. Through concerted artifact collection, interactive and engaging exhibits, and scholarly programs this museum will chronicle the ongoing cultural, social and economic influence of craft beverage and its power to build community. Why do we need a museum about the stuff we drink every day? It is the universal nature of beverages that makes it the ideal lens to explore our connections to each other. Beverages flow through the stories of our past, present and future. Exhibits and programs will tell the stories of craft beverages, the people that make them, and the communities that thrive because of them. This is the story of North Carolina, told through drink. No museum on beverages would be complete without a tasting room. This museum will provide the opportunity to sample local, regional, and national craft beverages. Your support is critical to our success. Contributions directly support initiatives to preserve and share this history. is a registered 501(c)(3) nonprofit organization. © North Carolina Craft Beverage Museum. All rights reserved. © North Carolina Craft Beverage Museum. Coming soon! Stay tuned for announcements on traveling exhibits and a permanent museum location.